There are many types of ants, some of which can be incredibly destructive to the structure of your home. Ants are, arguably, the most common pest issue in America and controlling them can be difficult. Trying to get rid of them yourself generally only kills the ants you see. To ensure they do not return, their nest has to be destroyed and different types of ants require different extermination strategies. Ant nests can be located inside or around your home. They can take up residence in walls, under foundations, in tree stumps or in lawns and can relocate very quickly when threatened. They leave a scent trail for the rest of their colony to follow toward a food source and can enter through the tiniest cracks and crevices. They are attracted to water, sugar, or greasy food, meaning that it is doubly important to keep your kitchen and pantry areas clean so as not to encourage them. If you see one ant, you can be sure that there are several hundred or even thousands where they came from. Preventative measures are important, but when you have an infestation, it is best to call a professional to be sure you eradicate every last one. Once we get rid of the ants, we create a barrier around your home or business so they will not be able to re-enter. 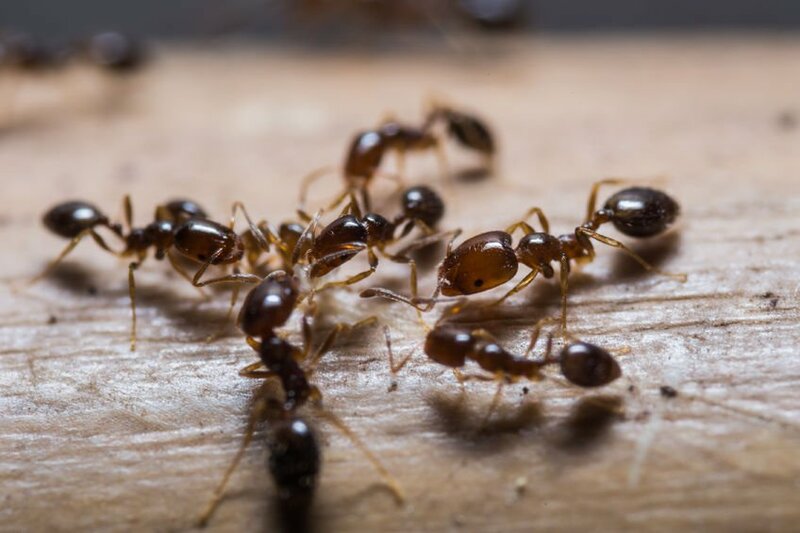 If you have seen evidence of ants and suspect that you have a problem, call Essential Pest Management right away. We offer emergency, same-day service and ongoing plans that help you get rid of ants and keep them away.